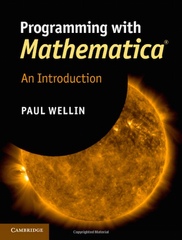 Starting from first principles, this book covers all of the foundational material needed to develop a clear understanding of the Mathematica language, with a practical emphasis on solving problems. Concrete examples throughout the text demonstrate how Mathematica can be used to solve problems in science, engineering, economics/finance, computational linguistics, geoscience, bioinformatics, and a range of other fields. Designed for students, researchers and programmers wishing to further their understanding of Mathematica.